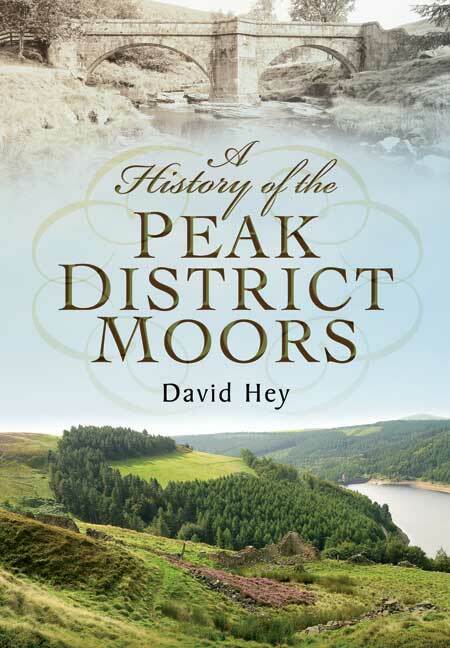 You'll be £4.99 closer to your next £10.00 credit when you purchase A History of the Peak District Moors. What's this? The moors of the Peak District provide some of the finest walking country in England. The pleasure of rambling across them is enhanced by a knowledge of their history, ranging from prehistoric times and the middle ages to their conversion for grouse shooting and the struggle for the 'right to roam' in modern times. This distinctive landscape is not an untouched, natural relic for it has been shaped by humans over the centuries. Now it is being conserved as part of Britain's first National Park; much of it is in the care of The National Trust. The book covers all periods of time from prehistory to the present, for a typical moorland walk might take in the standing stones of a prehistoric stone circle, a medieval boundary marker, a guide stoop dated 1709, the straight walls of nineteenth-century enclosure, a row of Victorian grouse butts, a long line of flagstones brought in by helicopter, and very much more besides. Some of this physical evidence remains puzzling, but most of it can be explained by assiduous research in local record offices. The author has not referenced the documents, as that would have made the book twice as long, but the bibliography provides leads to where the information may be found. As featured in the Buxton Advertiser, Buxton Today and Peak Courier. This is no 'desk-based study' but the product of a lifetime of living, working and researching in or immediately adjacent to the moors that gives the book a quality which is distinctive... This book is beautifully written in the clear simple prose which typifies David's work, and is fully illustrated with numerous black and white photographs. If you are familiar with the Southern Pennies then you will enjoy A History of the Peak District Moors. This is not a typical 'book of 'X'' but a narrative demonstrating the authors love and profound knowledge of the Peak District. The story has both bones and flesh to fill the frame...He never dumbs down the concepts under discussion but approaches them in such a way as to make them accessible to all...The casual reader will gain a greater understanding of both landscape history and the impact of resource exploitation whilst being handed a framework for reading the landscape. And those of a more academic bent will feel confident that Hey's facts are reliable (and quotable). There are some eighty photographs which portray the natural beauty of the area and nature lovers will find this book the perfect companion. However well we think we know our surrounding moorlands, here is an opportunity to explore afresh under the guidance of David Hey...David writes with a contagious enthusiasm. This generously illustrated book roams amongst the best – and lesser-known – moorland features...The book itself is a guide par excellence. Strongly recommended for visitors to the Peak District who would like to learn more about the area's history. A new book by well known local historian and author David Hey, draws on his extensive grasp and knowledge of the area and its history. A superb new book about the Peak District's fascinating history written by a local professor...The book explores the history of Britain's first National Park from the Stone Age to the modern day, and also tells the story of the first rambling clubs. The natural beauty of the area is lavishly illustrated with over eighty photographs. The perfect companion guide for nature lovers and those wishing to learn more about the area. While it might not be the first book about Britain's first national park...few tomes can have been quite as comprehensive as David's. Within these pages are Romans and Vikings, railways and canals, ramblers and World War Two soldiers. The book not only explores the history of Britain's first National Park from the Stone Age right up to the modern day, it also tells the story of the first rambling clubs. The natural beauty of the area is illustrated with more than 80 photographs. One of Pen & Sword's best-known local authors, David Hey, sadly passed away in March 2016. He was Emeritus Professor of Local and Family History at the University of Sheffield, President of the British Association for Local History and the Chairman of the British Record Society. He also served as the South Yorkshire and North-East Derbyshire Area President of The Ramblers' Association. He was well-known and much respected for his numerous books, articles and lectures relating to Yorkshire and Derbyshire, including The History of Penistone and District (2002) for Wharncliffe Books. He grew up in the Penistone district and later lived with his wife at Dronfield Woodhouse.